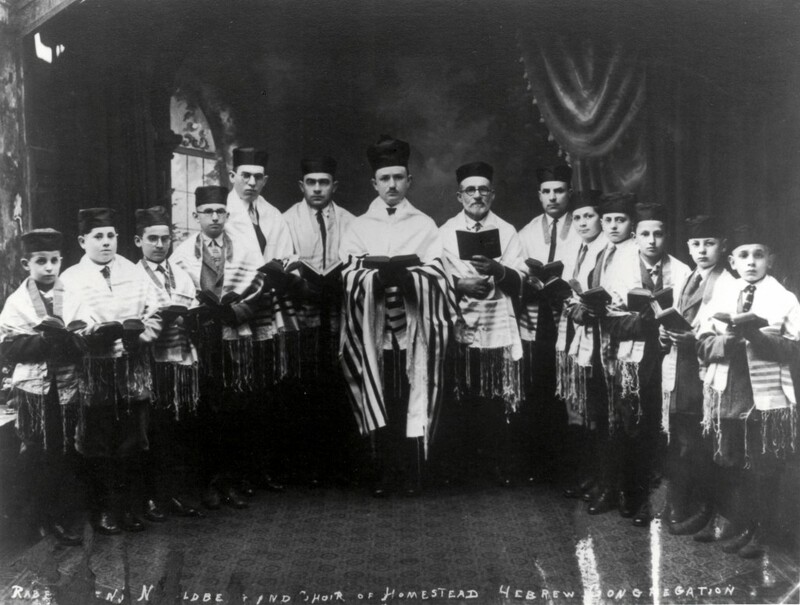 The history of Homestead’s Jewish community begins and ends with the High Holidays. Six months before the community formally organized, it was their first activity. 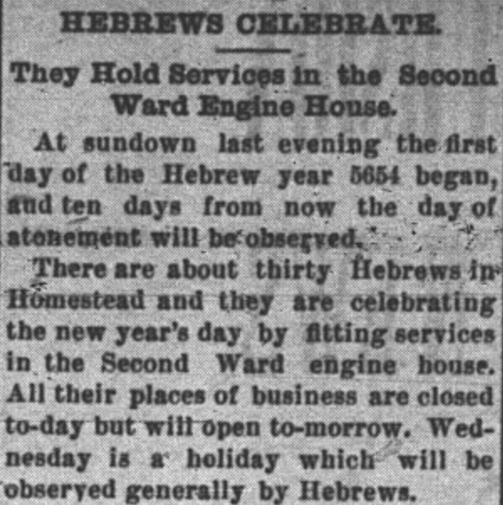 The beginning of the Homestead paper’s 9/11/1893 article on the first Rosh Hashana celebrated there. Click here to read the whole article. 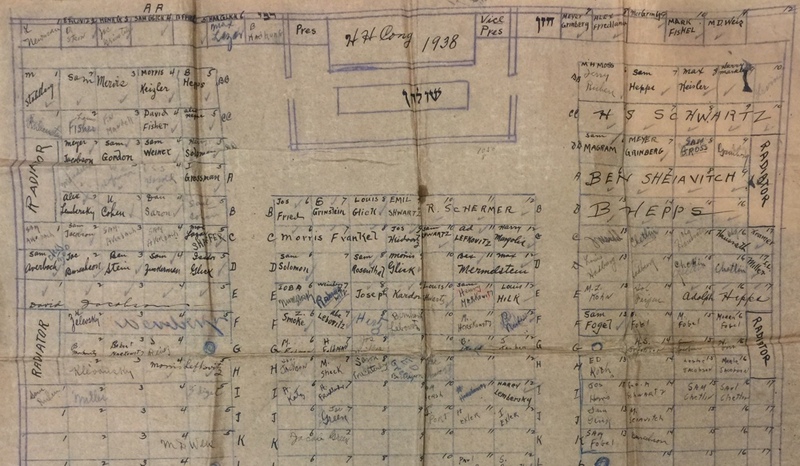 By 1893 we had about twelve Jewish families permanently residing in Hstd. When the High Holidays approached, the thoughts of these pioneers was (sic) directed to their religion, and to celebrate the holidays in the good old fashion, by conducting sacred services on R.H. and YK. 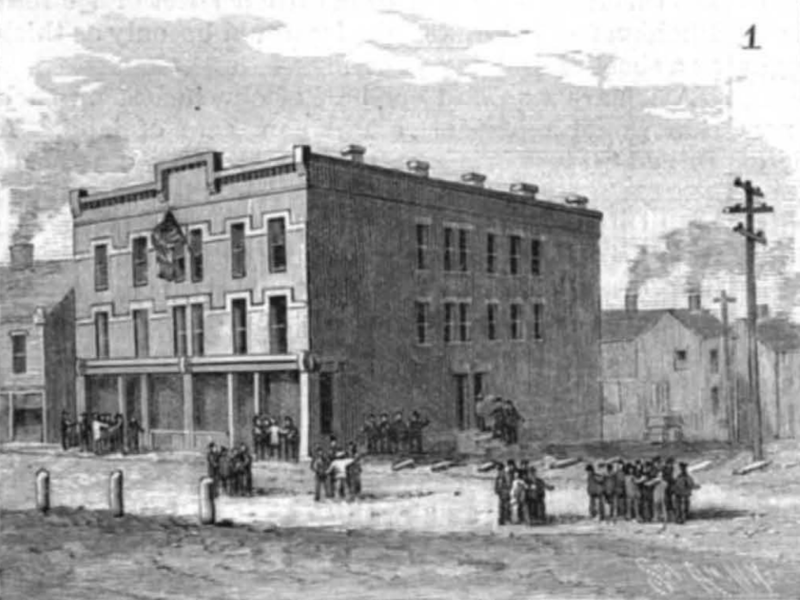 Through the courtesy of the 2nd ward Volunteer Fire Co. they were permitted to hold services in the Club room of their Engine House on Dixon St. The (sic) engaged Rev. Samuel Federman of McKeesport as their Cantor, who conducted their services according to the traditional custom of Orthodox Judaism. And a century later, the inability of the community to ensure a minyan of ten men for High Holiday services was the final nail in the coffin. [The closing] could have gone through a long time ago. 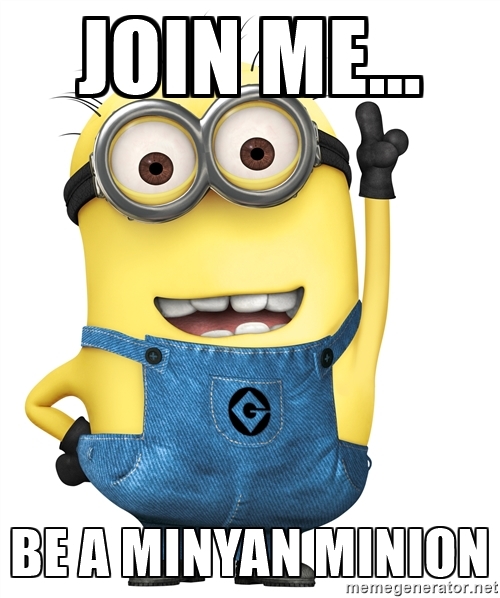 But there were a few of us who said as long as we can make a minyan we’re not closing this place up. We tried the best we could, until we couldn’t. What really did it was — I guess it was the year of ’91 during Rosh Hashanah and Yom Kippur. We asked for a show of hands, “How many people are going to make sure they are going to come to shul? Come to shul?” We couldn’t get a show of hands of more than 8 or 9. Can’t make a minyan with 9. 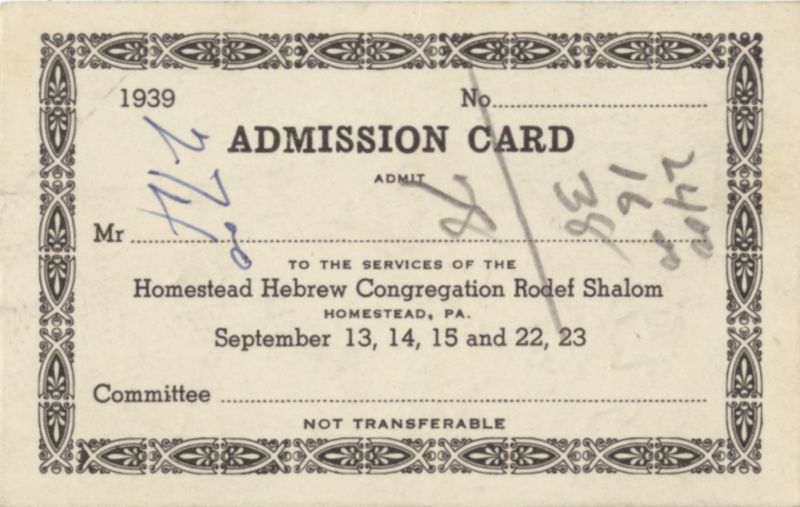 In between, Rosh Hashana (the Jewish New Year) and Yom Kippur (the Day of Atonement) were celebrated consistently by the Homestead Hebrew Congregation. Much about their observance would seem familiar to Jewish people of any era. Rosh Hashana was observed for two days, then a week later Yom Kippur brought one day of fasting. On Rosh Hashana there were evening, morning, and afternoon services each day, with the same on Yom Kippur, plus the kol nidrei (“all vows”) prayer before the evening service and the ne’ilah (“locking”) service before sunset. (Jewish holidays run sundown-to-sundown.) Morning services were divided into two parts, shacharit (morning prayers) and musaf (addition), which were separated by the reading of the Torah and Haftarah portions (taken from the Five Books of Moses and the Prophets), the rabbi’s sermon, and the shofar service (blowing of the ram’s horn). Every year the synagogue officials had to expend a tremendous amount of effort to prepare for all these services. 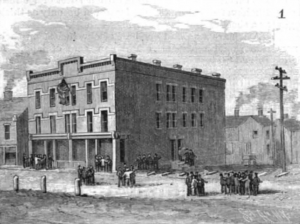 The Bost building at the time of the strike. At the end of that year, the congregation sold seats in the almost-completed building to those members who could afford them. Each purchase was actually for a pair of seats, one men’s and one ladies’. “Some handsome prices were paid for several of the seats,” noted the paper on 12/1/1901, and three days later the paper remained so fascinated by this occurrence that at the top-center of the front page of the paper, they named the thirty-two men who bought seats and even indicated which ones! 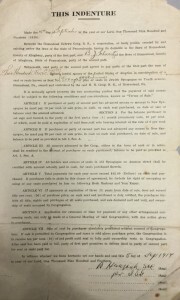 High Holiday ticket rules, 1902 (Box 3, Folder 9). Click to enlarge to read about differing prices and policies. B.J. 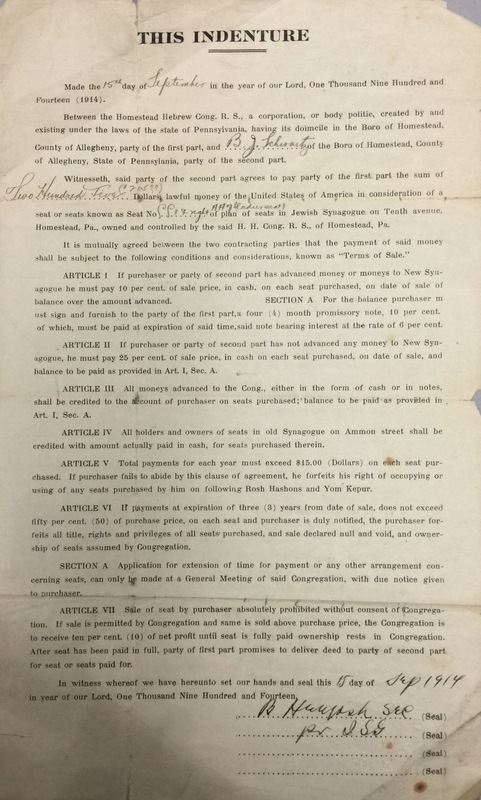 Schwartz’s 9/15/14 seat agreement (signed by my great-grandfather!). 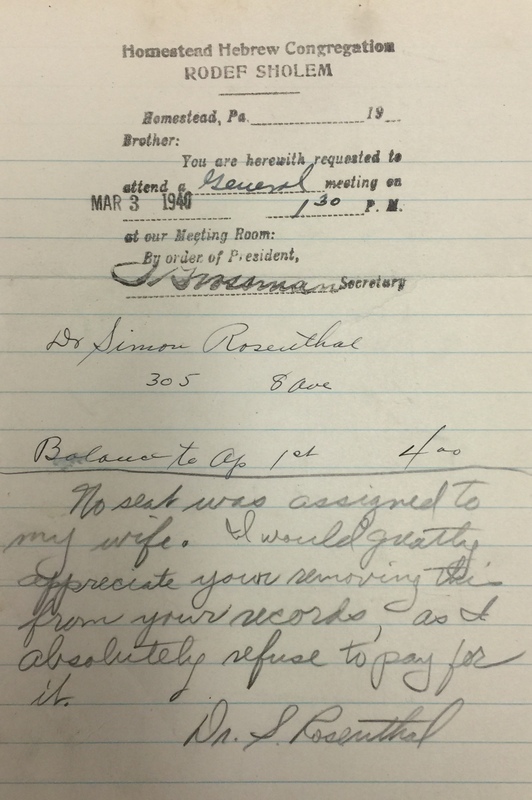 Note the terms regarding his former seat in the Ammon Street shul (Box 3, Folder 3). Click to enlarge. Somehow they made the tiny Ammon Street shul work for 1902-1906 despite the increasing mismatch between numbers of seats and worshippers, but starting in 1907, the congregation had to rent a hall and run two sets of services to accommodate everyone. After four years of this, the 1911 arson forced the issue. “Some wanted to rebuild, but the late Mr. Henry Moskovitz strenuously objected, first on account of the location” in a poor, immigrant neighborhood next to an elementary school, “and second on account of the smallness of the lot to build for a growing community. His wise counsel prevailed,” recalled the historian, and two weeks before Rosh Hashana 1914, a larger and much more impressive edifice was dedicated in the nicest section of town. It had about 275 men’s seats and 174 women’s. Thereafter the congregation observed the holidays together under one roof. Having their own building necessitated procedures for selling tickets, which were established in 1902 and remained remarkably consistent ’til the end. 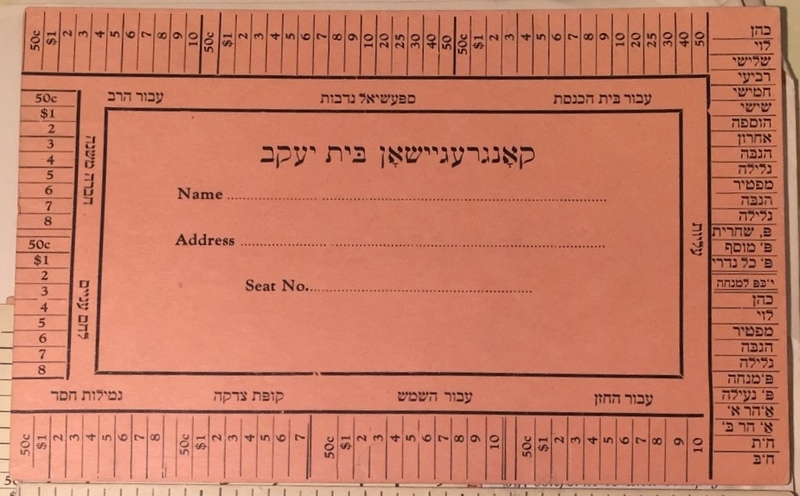 Late summer, the synagogue’s officers would set ticket prices and appoint a Seat Committee to handle all the related financial transactions, which included collecting dues from members who who were not up-to-date. These men were responsible for printing tickets and “sitting,” or making themselves available for people to come by and purchase tickets. Typically they’d sit weekday evenings and Sunday afternoon. They were given “full power to act” — i.e. to make adjustments to bring in new members or settle existing members’ debts. The money they brought in carried the synagogue’s finances for the next twelve months, so they were entrusted with a significant responsibility. Plus, of course, they had to put everybody in a seat! People preferred to sit near their family (some of these families were quite large with many branches), or at least their countrymen (Russian/Hungarian tensions ran high in the early decades), so there were plenty of considerations to take into account. Oh, my lord, it was full. The synagogue was full. Mr. Grossman was in charge of the seating, and he would stand upstairs, and have his plan, his map for the seating. And if you didn’t have a ticket, you just didn’t have a seat. That’s how crowded it was. 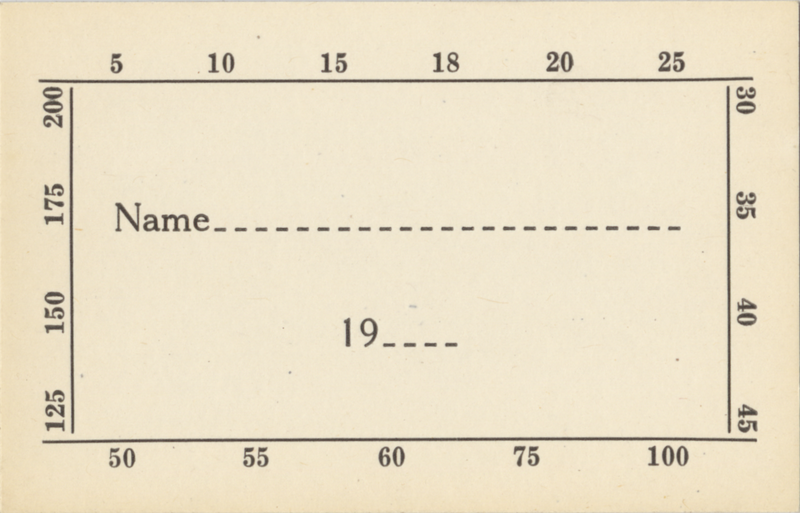 Part of the 1938 high holiday seating chart. Note that the congregation’s president and vice president had seats of honor on either side of the ark. The rabbi and cantor sat next to them. Browse all the seating charts here! As the 1902 rules established, people who did not own seats could rent “single” or “double” seats. “Outsiders” (later called “non-members”) had to be approved by the Seat Committee and were charged more than members. In 1902 the prices were $2 member single/$4 member double and at least $2.50 outsider single/$5.00 outsider double. In 1946 the prices were $5 member single/$10 member double/$15 non-member double; in 1965 $12.50 member single/$15 non-member single. In the 1980s seats were free. In return they received admission tickets. Of course, all of these people are nothing without the actual services, so the most important set of people who had to be assembled in advance were those who would conduct them. The rabbi was responsible for many parts of the Rosh Hashana and Yom Kippur services — musaf, kol nidrei, ne’ilah, sermon, and shofar — but not everything. Definitely not what Magram had in mind. Motion was made, seconded and passed that M.D. Weiss be appointed to read the Bulchachras services at the High Holiday services for the coming year at the same salary as previously. An 8/6/1912 want ad from the Homestead paper, dated a month before Rosh Hashana. The address is Rabbi Widom’s home. The High Holiday choir c. 1926. L-R: Hymie Forkosh, Abe Valinsky, Joe Kramer, Meyer Fox, Mr. Danzig, Ben Mermelstein, Rabbi Goldberg, Mr. Krotin, Mr. Jackson, Joe Averbach, Ed Mermelstein, Ertzy Cohen, Lou Weinberger, Dave Weinberger. More about this picture here. Every year many men in the congregation worked together to set price, sell tickets, prepare the building, and appoint prayer leaders. Crucial as this behind-the-scenes work was, none of it is what people remember. Seats were not purchased for the children. There wasn’t enough room for them in the main sanctuary. Starting in 1921 the problem was partially alleviated by having a children’s service in the basement, though it seems this didn’t happen consistently even during the peak years. HN: It was a typical Orthodox shul — utter chaos. Ann Powell: Did you like the chaos? HN: Have you heard the song “Tradition”? That’s what it is. That’s what it was. You know, like I have a sister-in-law that belongs to Temple. Rise, you sit down — you know, I can’t get used to that. Our shul isn’t like that. We have chaos. The difference in decorum wasn’t the only unfamiliar element I discovered about services at the Homestead synagogue. Over many months of research I kept running across a strange word that clearly referred to something that took place during the holidays: shnodering. 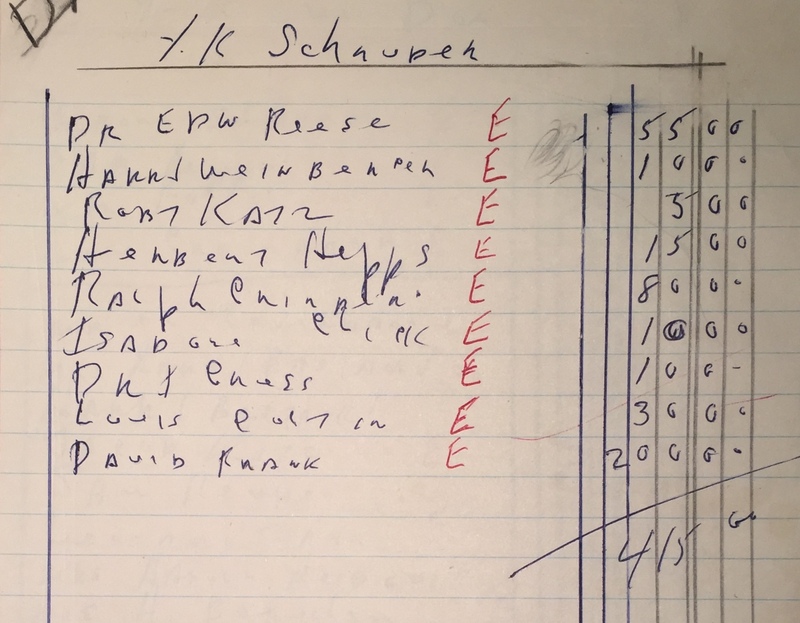 I paged through many lists entitled schnoder + name of holiday in the synagogue’s records; the contents of these lists were always names of congregants and dollar amounts. I read in the meeting minutes such perplexing statements as: “All Shnodering to be charged according to what they may offer,” “The member to have the right to Shnoder 5.00 on Saturday before the wedding, to be deducted from the 5.00 fee which a member has to pay,” and “Gabays report: $18 schnoderred.” Lest I thought I was repeatedly misreading the handwriting, I saw it typed plain as day in the congregation’s 1934 by-laws. 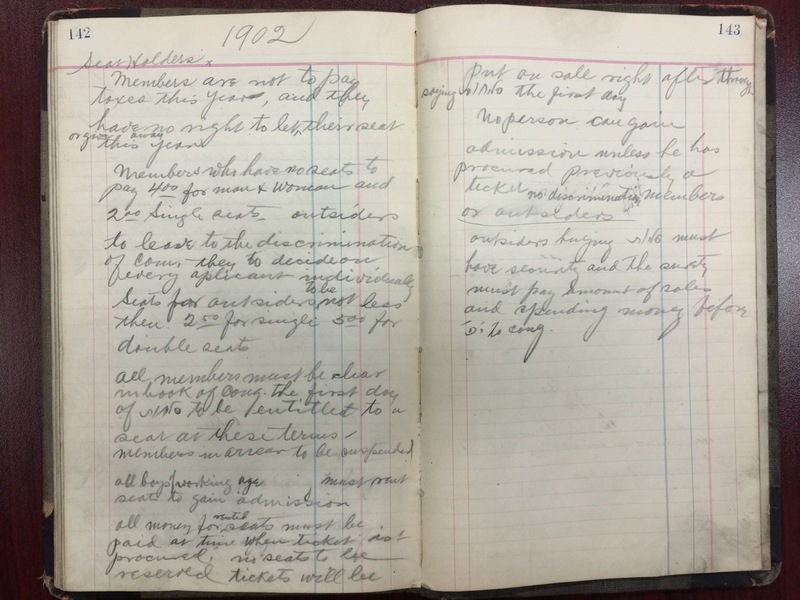 Members making satisfactory arrangements with the Finance Committee regarding their dues shall be entitled to…free donations (Schnuder) at all times except on Rosh Hashonah, Yom Kippur and such special occasions as wedding, Bar Mitsvahs, Briths and so forth. Separately, another unfamiliar High Holiday custom kept coming to my attention — this time called by a familiar word used in a perplexing way. Financial reports after High Holiday services included a line item called “spending” alongside more familiar items like tickets and dues. Individual members’ financial records shed light on what this “spending” was. On page after page the word “spend” appeared frequently, often followed by the name of a part of the service in Hebrew, whether the name of an aliyah (section of the Torah reading), hagbah (lifting the Torah), g’lilah (wrapping the Torah), or p’sicha (opening the ark). I recognized that these were all parts of the service that congregants perform. 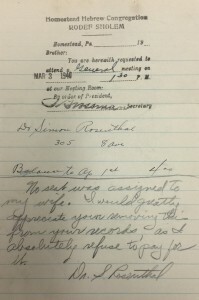 In any synagogue I’ve ever attended, a gabbai comes around and asks individual congregants if they wish to perform particular honors, but I had heard that synagogues once auctioned off these honors to the highest bidder. And indeed! 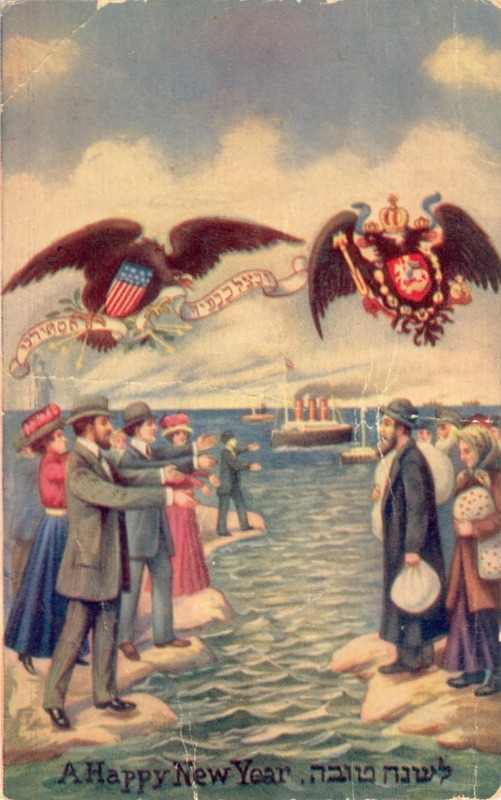 Marshall Gordon: The other thing [Harry (Heschel) Seiavitch, the longtime shammes] did — you may have heard this one — on the High Holidays, he used to auction off the aliyahs. AP: I remember that, but I haven’t heard it. MG: Di ershter mol, di ershter mol, di tsveyter mol. Fuftsik toler, tsvantsik toler [“Going once, going once, going twice. Fifty dollars, twenty dollars”], whatever it was, and he would sing it out like a real auctioneer. He was great. And then the bidding wars between the wealthier in the synagogue, and then, usually the one that you bid against had won and would give it to you. So, it was kind of a game. Bernard Keisler: Well, [wealthier families] usually were the ones that put up the money — along with my grandfather, because he fought ’em pretty good at the services to buy the aliyahs relative to opening and closing of the ark or taking out the Torahs — and so they did that more often. And my grandfather usually did them, too, because he liked to– because having five sons and innumerable grandchildren, to make sure his sons stayed on the holidays, that they stayed in shul all day, if he bought the aliyahs they had better be there because grandpa was going to call them to come do it. AP: And he would notice that you weren’t there. BK: Well yeah, mostly his sons. I mean, he didn’t send up the grandsons too much because there wasn’t that many aliyahs, and he had too many sons, and so you had to follow the pecking order. 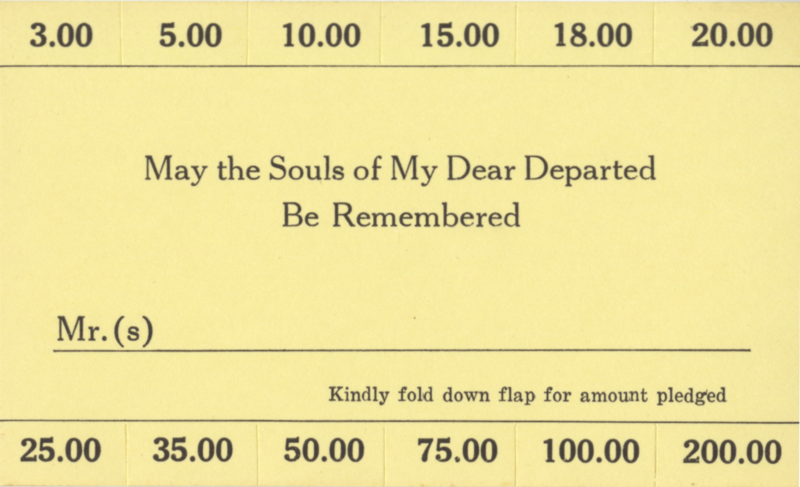 There were many honors in a service, each selling for a different amount to a different person. 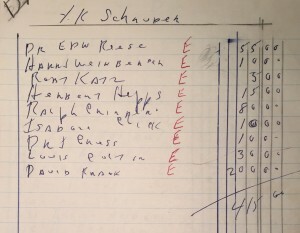 In a traditional synagogue where they would have abided by the prohibition against writing on holidays, how in the world could they produce accurate financial records like the ones I had been reviewing? 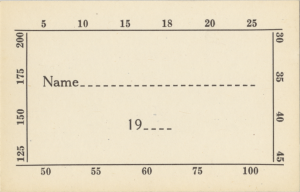 The answer: schnodering cards! And the men, they would have snuff…So nobody knew it, they would sprinkle some into certain parts of the machzors [holiday prayer books]. And, if you happened to open it up years later, the pages were all brown! So we — couple of us kids — we wanted to know what it was. And we smelled it. Oooh! One kid got sick. I couldn’t stand it! And I think the shammes caught us — Mr. Harry Seiavitch — he says, “Just close the book up. It’s OK. It’s OK. It’s old, the books are old.” That’s what we were told. But, the men sniffed snuff. Apparently, he also said, there were also spittoons in shul, since chewing tobacco was common. Only in the men’s section, mind you! But still! The synagogue remained Orthodox, but changes crept in. In the old days, everyone walked to shul. On Yom Kippur people who lived further away would stay with friends or even in nearby hotels. In later years people began to drive or take the streetcar, thought they always parked or disembarked a discreet distance away. “The rabbis would scold the people for driving to the synagogue in those days,” Charles remembered, but by the 1950s, almost all the young families were living in Homestead Park, too far to walk. Iris noted that the police covered the parking meters on the street outside the shul during the holiday (at least the drivers shouldn’t have to violate the prohibitions against spending money, too?). During WWII, a busload of Jewish soldiers stationed at the county airport were driven in for Rosh Hashana and Yom Kippur services, since Homestead was the closest shul to their base. That must have been quite a sight! Around the same time, Florence recalled, some progressive women began to come down from the balcony and sit in the back behind a mechitzah (curtain). Some of these same women, through the B’nai B’rith Women, distributed calendars to all the Homestead and Munhall teachers so they would understand when their Jewish students would miss school… apparently to run around like vildechayas in synagogue. The Jewish students were always a minority, though, so even with their mothers’ efforts their teachers didn’t always understand or excuse their absences. But in one area of Homestead the Jewish presence was significant enough that understanding was a requirement. 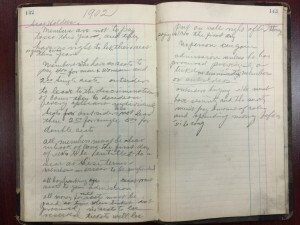 While all of these preparations and observances were internal to the Jewish community, the High Holidays were actually quite visible to the rest of Homestead for one reason: Jewish stores. 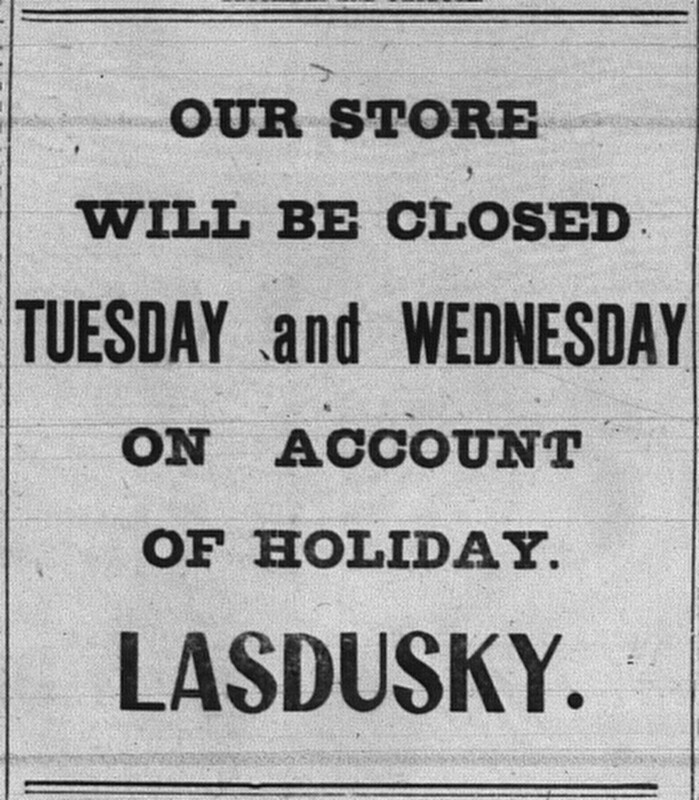 Even in the 1890s there were enough prominent Jewish stores in town that the newspaper needed to explain to its readers why they would find them unexpectedly closed on otherwise unremarkable days of the year. Only one year did the paper directly quote an anonymous “well-known local Hebrew,” but I suspect all of these columns must have been helped along by the Jewish merchants themselves. Naturally, we Jews made it even more complicated by not all observing the holidays the same way. 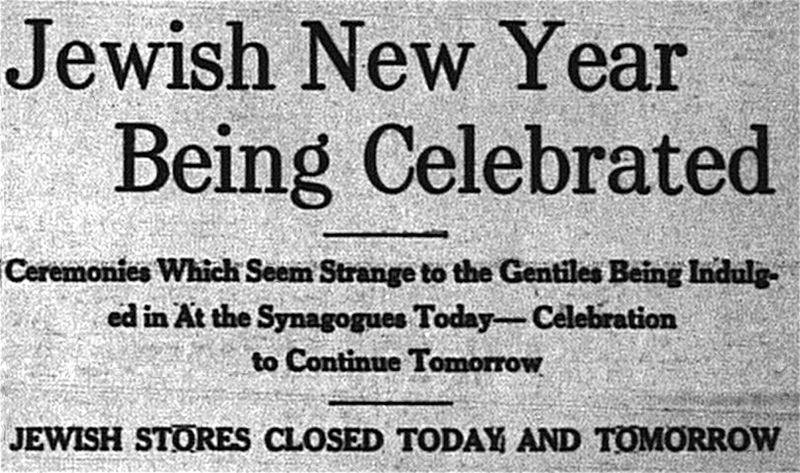 Even the paper’s very first mention of the holiday store closings had to explain, “Among the Orthodox Hebrew the New Year is celebrated for two days, while the Reform church only celebrates one…Many Hebrew stores will be closed on both or a portion of each day” (9/29/1894). 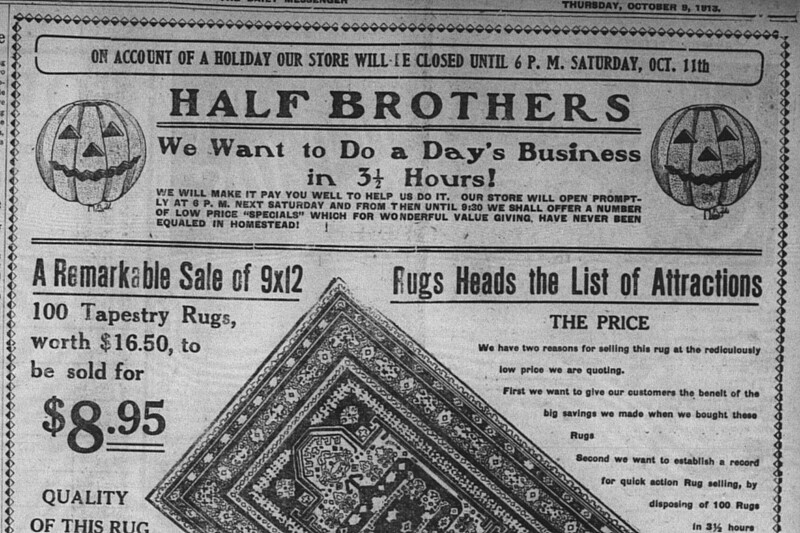 When the Half brothers, German Jews from Pittsburgh who belonged to the other Rodef Shalom, opened their store in Homestead in June 1899, they had to amend the newspaper’s original explanation that “To-morrow [Tuesday] is the Jewish New Year, and all the Jewish people of this place will observe the event by closing up their places of business until Wednesday evening,” by having a notice published the next day that “Half Bros.’ furniture store is closed to-day on account of the Jewish New Year, but will be open to-morrow for business” (9/4-5/1899, emphasis mine). The newspaper’s notices tended to favor Orthodox practice since the vast majority of actual residents were Orthodox. 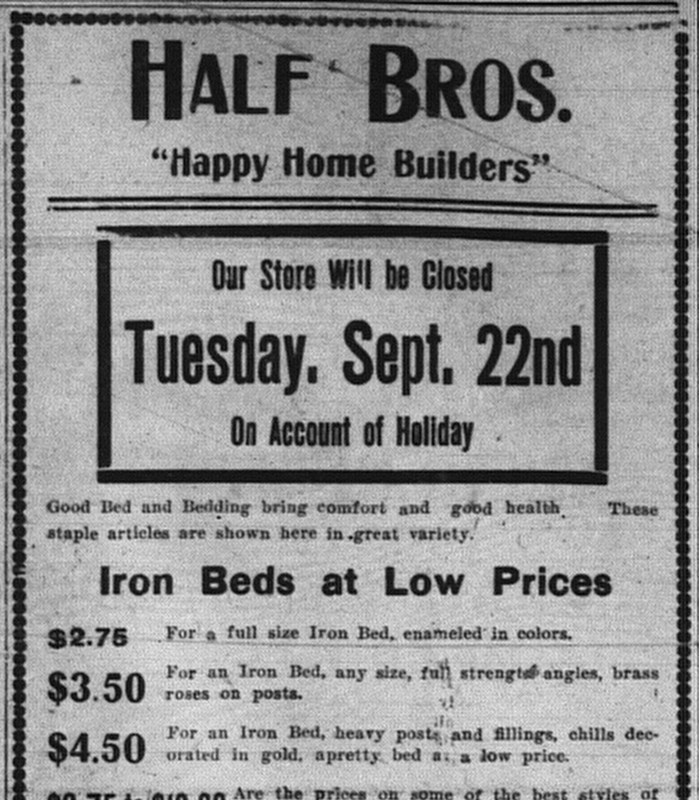 9/19/1903: Top section of a Half Bros. ad announcing one day of closing for Rosh Hashana. 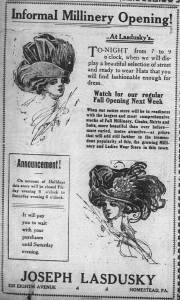 Their similar ad in 1902 was first of decades of such newspaper advertisements. 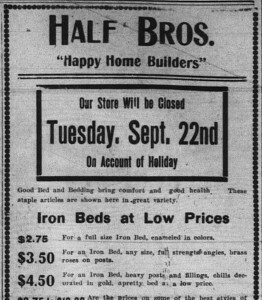 9/21/1903: Advertisement of the two-day closing for the synagogue treasurer’s store. 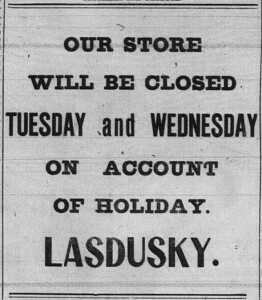 Merchants also hung signs in their stores about their holiday closings. Each and every member of the Congregation, physicians and druggists excepted, is compelled to observe the High Holydays (Rosh Hashonnah and YOM KIPPUR) by closing their place of business and by ceasing his work that he is engaged in. Sometimes Yom Kippur fell on a problematic date. 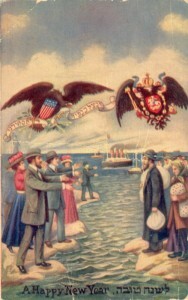 In 1909, one of the years when this happened, the paper explained, “The worst feature of the holiday is that the Day of Atonement–the most solemn of all Jewish occasions–comes on a pay day.” Their article from 1902, another such year, elaborated, “The Hebrews will this year lose quite a large amount of money in Homestead but there is not one of them but whom will close their stores.” In 1909 that Saturday was also the all-important opening of the fall millinery season; the ladies’ stores run by Joseph Lasdusky and Benjamin Friedlander had to delay their fall opening events, which was a double loss for them. 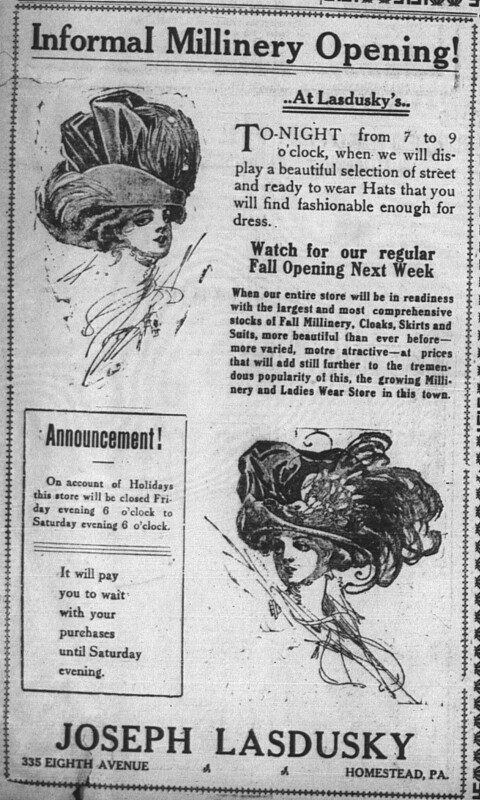 9/23/1909: Lasdusky attempted an “informal millinery opening” on Thursday, two days early. 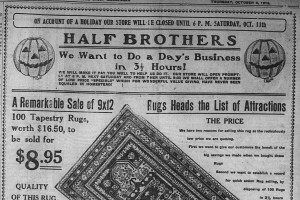 10/9/1913: After Yom Kippur ended, Half Brothers was determined to cram in as much payday business as possible Saturday evening. Just what were these customs was the second goal of all these newspaper articles. Considering that many of the newspaper’s readers knew little-to-nothing about Judaism, the paper had a large task ahead of it, starting with the important clarification that the “Jewish New Year,” despite the familiar-sounding name, “radically differs from our civil New Year it is a day set apart for for introspection and self examination” (10/1/1913). 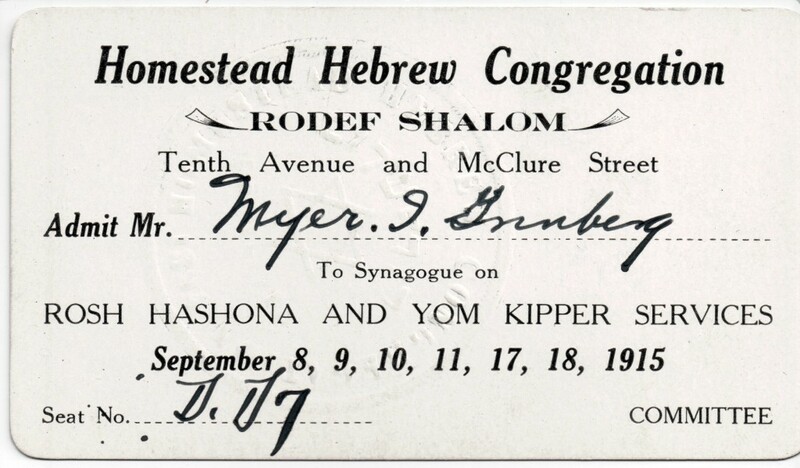 A Rosh Hashana card c. 1909. The banner carried by the American bald eagle translates to, “Shelter us in the shadow of Your wings” (Psalms 17:8). Click to enlarge. In one part of the services a trumpet was to be blown. 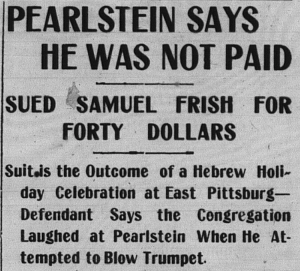 When they came to this part the second man who was hired could not blow the horn and at the same time speak to the audience and Frish [a representative of East Pittsburgh] requested Pearlstein to blow the trumpet. Pearlstein, it is said, refused unless they paid him $5 extra for the work. 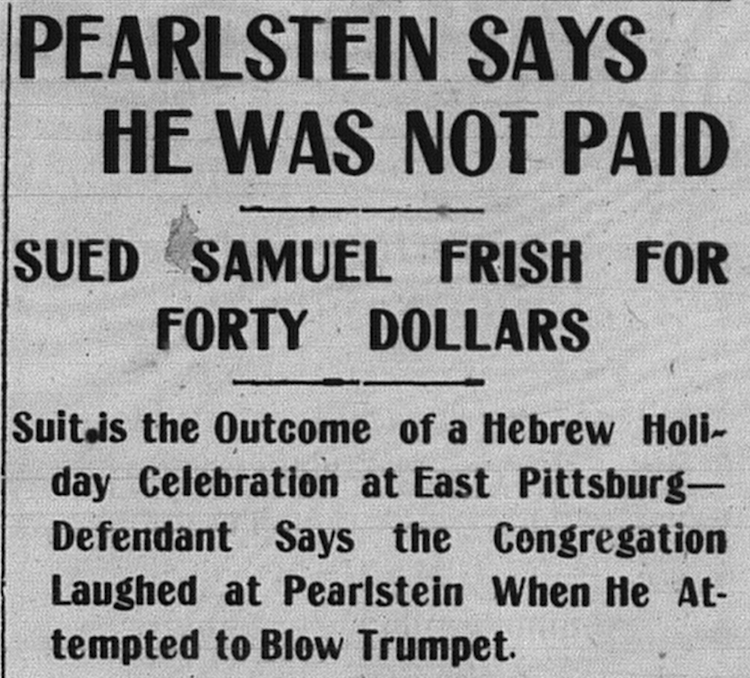 They agreed to this proposition and Frish says when Pearlstein tried to blow the horn he could not make a sound. All this time, it is said, the whole congregation was laughing at the efforts of the man in trying to blow the horn. Finally they say they told Pearlstein that he never know (sic) how to blow the horn and that his attempt released them from paying the $5. Have you ever tried to blow a shofar? It is not easy! I do really recall at a very early age being on Eighth Avenue. I remember there were many, many Jewish families that had merchants that had their stores on Eighth Avenue, and they lived upstairs or behind the store, as well as moving up on the hill. And so, when one went for a walk, at every turn there was a friend, and there was a Jewish family.And really, when we had the holidays, most of Eighth Avenue was shut down, because most Jewish people observed the holidays. Arnold Zukerman‘s recollections continue where Florence’s left off. AZ: The whole town was closed. AZ: You could see, you could see, you could tell by the amount of cars on the street. Both the quiet on Eighth Avenue and the chaos inside shul reflected the scope of the community as it once was. Now our community is dispersed, Eighth Avenue is always quiet, and the shul is no longer a shul — but for me, reflecting on how the holidays were observed in days gone by isn’t an occasion for sadness, because almost every religious tradition described in this post still happens. The tickets, the services, the prayers, the cards, the shofar, and so much more remain part of the Jewish community today, as they have been for generations. Well — I guess we lost the spittoons. I have made my peace with that. I hope you can, too. Shana tovah u’metekah! Wishing you & your family a sweet new year! But before you go: Please share your memories of the High Holidays in Homestead in the comments! Well, I must hedge slightly. First, this sacrifice only happened during the High Holidays. So far as I can tell, stores were open on all other holidays (and Shabbat, as related earlier). There were years when the spring millinery opening took place on Passover, but the Jewish merchants participated as though it were any day of the year. Additionally, it’s worth noting that 6 PM, the time they all re-opened in the evening, was always 1.5-2 hours before the holiday actually ended. I don’t know how much in advance of the opening people had to report to the store to prepare, but either way, they were definitely clipping off a good chunk the end of the day — especially notable on Yom Kippur, when neilah, the most important service of the whole day, runs right up to sunset. I can remember as a young boy during Yizkor on Yom Kippur we had to leave the synangogue because our parents were still living, which in later years I found to be Bubba Meiz. A group of us under would go down to the H&H Restaurant and get something to eat since we were under the age of 13 and not Bar or Bat Mitzvahed. We would come back to Schul and usually around 2-3 P.M is when there was a break until Minchah was Davened. I can remember my Grandfather< Harry Seiavitch, auctioning off Honors during the High Holidays. One of the Highest Honors or the one the was the most money was to open the Oren Kadash for Neilah and stand on the Bimah for the entire Neilah Service until the Ark was closed. L'Shanah Tovah to all. Myer Grinberg (sp. 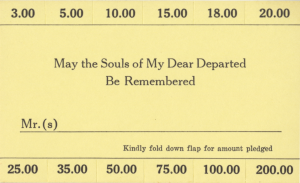 ), the name on the High Holiday ticket, was a clothier who I remember as having a store on 8th Ave. in Homestead for years. The young man second from the right in the synagogue choir photo, Lou Weinberg, became a druggist and had a neighborhood pharmacy in Whitaker (not far from Homestead). My sister worked for him after school as a counter-clerk.